On 30-31 January, the heads of the Lithuanian town of Panevezys and the Belarusian one of Vitsiebsk met in Minsk. At present, with relations between the two governments poisoned by the dispute over the Astraviec nuclear plant, such local-level relationships take on added importance. Both countries would like to develop cooperation in promoting tourism or improving border security, not only for internal reasons but also because the European Union (EU) pays for such cooperation. The EU can go further by making the distribution of money under its transborder program more proportional, improving regulations and, finally, liberalising the visa regime. 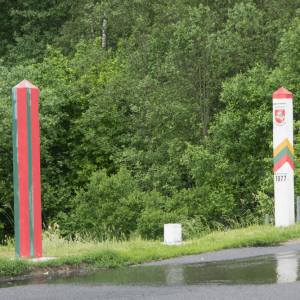 Difficult border procedures between Belarus and Lithuania first emerged 15 years ago, when Lithuania completed its negotiations to join the EU. For many residents near the border that day proved tragic because it divided relatives in neighbouring villages. Until then the region lacked real boundaries – neither during Russian/Soviet rule, nor in the days of the Grand Duchy. 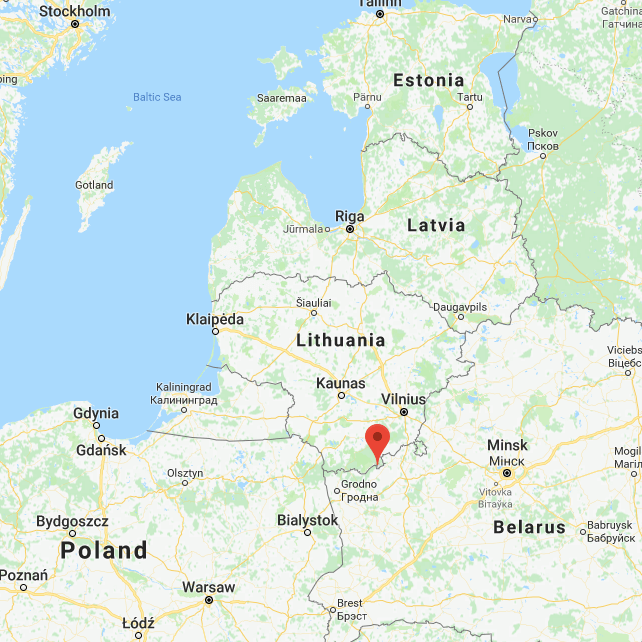 For example, in the Lithuanian village of Rakai, inhabited primarily by ethnic Belarusians, many used to work in Belarus. Only in 2003 the recognition of a real border meant they needed to look for a job in Lithuania or move to Belarus. Often people from the same family, who had lived all their lives within several kilometres of each other, found that they needed an expensive and complicated visa and take a lengthy detour to reach the nearest border crossing point, only to sometimes face a long queue at the border checks inside the next country. The border affected not only families but also economic relations. For example, in 2018 the Lithuanian Carriers Association announced that trucking companies lose €100,000 each day because of the queues at the Belarusian-Lithuanian border. The capacity of the border crossings is simply failing to receive the flow of truckers. Naturally enough, culture, tourism and common history suffered as well. The truth is that without EU money the countries would make much fewer steps towards each other, as both are pretty poor and may have other priorities. At the meeting in the Lithuanian embassy in Belarus, the heads of Panevezys and Vitsiebsk discussed the European Neighbourhood Instrument for Latvia, Lithuania and Belarus. The program budget for 2014-2020 amounts to €81 million, of which EU funds account for €74 million. In 2007-2013, during the previous program, more than two hundred Belarusian, Latvian and Lithuanian organisations built or renovated around 150 sites and held over 300 events. Thanks to the EU funding, common tourism routes appeared, journey time on the Vilnius–Minsk train fell to just two and half hours, joint youth football camps took place, and firefighters from the three countries organised field exercises. On the whole, 57 projects received €37 million. The funds under the current program aim at: the promotion of social inclusion and the fight against poverty; the support of local and regional good governance; the promotion of local culture and preservation of historical heritage; and the promotion of the border management and border security. Despite being listed last, border issues are not less important; they usually consume the largest amount of money. Without the assistance of the EU, all the existing border infrastructure in this region would have looked obsolete. At the same time, the number of visitors between the two countries keeps growing. Even Belarus, which is hardly attractive to tourists, issued 73 thousand visas in Lithuania during 2017. Furthermore, Lithuanians also enjoyed a visa-free regime in Hrodna and when entering Belarus through Minsk airport. Belarusians and Lithuanians visit each other’s countries for goods and services that are cheaper or better. For example, some Belarusians prefer to give birth to children in Lithuania, while Lithuanians go to Belarus for dental services. Brussels could do a few things that can make cross-border cooperation more effective. In 2017 the monitoring committee of the programme Latvia-Lithuania-Belarus selected 30 projects for funding. Among them, only two projects have Belarusian organisations as the lead beneficiaries. In all the others, as insiders told Belarus Digest, Belarusian organisations play a secondary or even marginal role. For example, as guests at workshops in Lithuania or Latvia. 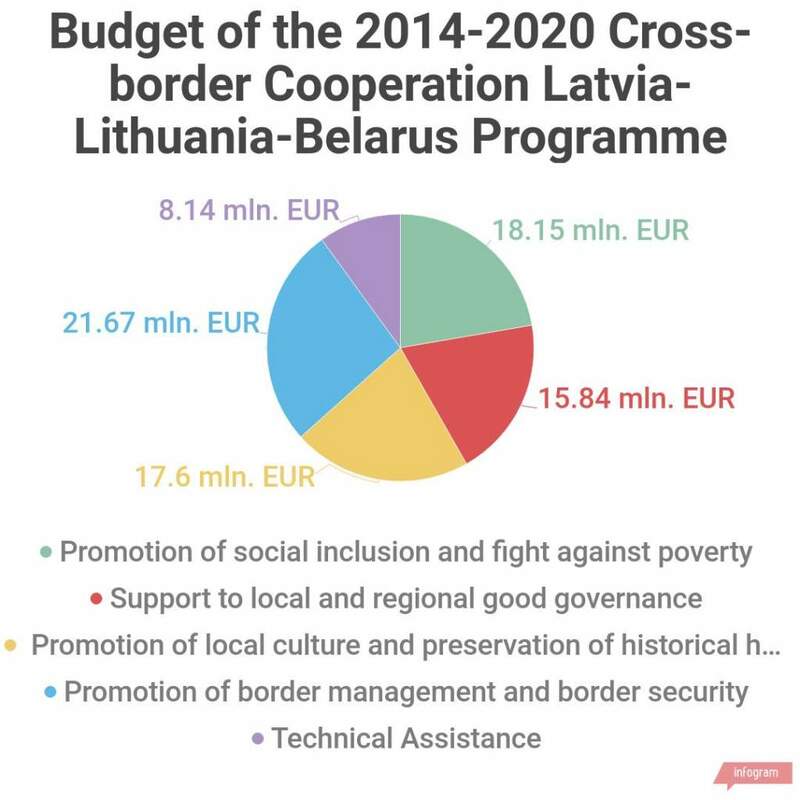 According to Belarus’s ambassador to Lithuania, the problem lays in the fact that “Belarusian organisations have difficulties to work with European funds, but this will change with having more experience and improving the regulations inside the country.” The European Commission could have paid more efforts to ensure that programme funds get distributed more proportionally between participating countries, even if the current disproportion has some objective grounds. The EU can continue to invest in border infrastructure, but in fact, the reason of traffic jams hides in the regulatory hole. Truckers who travel across Poland have the right to import 200 litres of diesel fuel at a time, while there are no such restrictions in Lithuania. Therefore, many truckers choose the route via Lithuania and the solution to this problem requires a joint decision. Also, the EU should finally liberalise the visa regime with Belarus. Lithuania is not only a mecca for parties of wealthy Belarusians, but also a place where poor Belarusians have their families, whom they cannot see due to high visa costs. At the end of the day, while the political elite quarrel, communication between the people could bring communities closer together. On 25th January 2018, top Belarusian media outlet TUT.BY compiled a portrait of the average Belarusian citizen. The media outlet used a combination of recent data from the National Statistical Committee of Belarus, the World Health Organization, and the United Nations. Apparently, the average Belarusian citizen is a 42-and-a-half-year old woman with higher education. She speaks Russian, votes for Lukashenka, and consumes 64 kg of potatoes per year. At the same time, the recent statistical data on the Belarusian population raises a number of concerns. 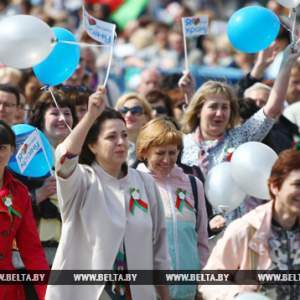 Belarus comprises an ageing nation with astonishing gender imbalances. While Belarusian women face difficulties in finding a marriage partner, Belarusian men fervently consume alcohol. The diet of Belarusian citizens still lacks fruit and vegetables, and their salary ranks among the least competitive in the region. Permanent stress eventually take its toll in the form of heart disease. Who is the average Belarusian woman? She is 42-and-a-half years old, and her name is most probably Alena, Maryna, Natallia, Sviatlana, or Tatsiana. She lives in Minsk and possesses higher education. She works in services, education, or healthcare. By October 2017, the average Belarusian woman earned $426. This represents the second lowest salary in the region; only Ukrainians earned less – $274. The average Belarusian woman speaks Russian on a daily basis. She formally belongs to the Russian Orthodox Church and in the last Belarusian presidential elections, she voted for Alexander Lukashenka. Her family life starts at 26, and her first child appears at roughly the same age. Her family budget is quite tight though – the largest share of it (39%) goes on food expenses. The National Statistical Committee of Belarus proudly confirmed that the average Belarusian citizen consumed 64 kg of potatoes, 65 kg of fruit, 88 kg of vegetables, 76 kg of meat, and 274 kg of dairy products in 2017. Yet the consumption of fruit, vegetables and dairy products still fails to meet the WHO recommendations. In many ways, small salaries force Belarusian families to forsake more expensive imported fruit and vegetables. This appears particularly disturbing in the wake of health consequences of the Chernobyl disaster. Who is the average Belarusian man? An average Belarusian man is 37 years old. His name is most probably Alexander, Andrey, Siarhei, Uladzimir, or Viktar. He also lives in Minsk and predominantly works in agriculture, construction, industry, or transport. Unlike his female colleagues, he does not necessarily possess a higher education diploma. As for his salary, the National Statistical Committee of Belarus has not recorded a pay gap between men and women. Hence an average Belarusian man receives the same $426 per month – an insufficient amount to support a family. He also speaks Russian and formally belongs to the Russian Orthodox church. Together with his female colleagues, he voted for Alexander Lukashenka in the last presidential elections. As regards the family budget, he might save a few Belarusian rubles by buying the cheapest petrol in Europe, but his daily bills will most probably include alcohol. According to the WHO (2017), the average Belarusian man consumes 16.4 litres of alcohol per year. This represents the second highest alcohol consumption in the world: only Lithuanians drink slightly more. Belarusian psychiatrists cite hidden aggression and permanent depression as the root causes for such tremendous alcoholic addiction among men. The economic instability in Belarus has a lot to do with it as well. At the same time, excessive alcohol consumption represents a common trend among the European part of the former Soviet Union. Moldova, Russia, and Ukraine also topped the latest chart of alcohol consumption per capita. Hence, this data clearly reflects a decrease in regional economic prosperity. Ladies dominate the gender ratio with 53 % of Belarusians being women and 47 % men. The gender discrepancy between men and women reflects a common demographic trend among Belarus’s neighbours; Latvia, Lithuania, Poland, Russia, and Ukraine. Much of the gender imbalance stems from tragic historical circumstances. The Russian Revolution, the “Great Terror” of the 1930s, and World War II had a devastating effect on the male population of the Soviet Union. The gap in life expectancy between men and women represents another remarkable demographic trend. Belarusian women have a life expectancy at birth of 79 years, while Belarusian men can expect just 69 years. This can be partly attributed to the increase in early mortality among men after the dissolution of the Soviet Union. A sharp decline in financial prospects led to numerous psychological traumas, which prompted excessive alcohol and drug abuse. A similar demographic trend prevails in the European part of the former Soviet Union. According to the WHO (2015), Belarus, along with Latvia, Lithuania, Estonia, Russia, and Ukraine, dominate the list of 10 countries with the largest life expectancy gap between men and women. War-torn Syria, post-genocide Rwanda, and post-war Vietnam also make the list. At the same time, both Belarusian men and women most frequently die from heart diseases. Economic instability and urban life, it would seem, take their toll on Belarusians of both genders. To conclude, Belarusians represent an ageing yet educated nation with a range of demographic and health issues. The poor economic situation negatively affects the Belarusian diet and provokes depression and stress. This leads to excessive alcohol consumption and early mortality among men. Belarusian women face difficulties finding marriage partners and many die from heart diseases. These demographic trends largely prevail in the European part of the former Soviet Union, which endured a series of tragic historical circumstances in the 20th century.